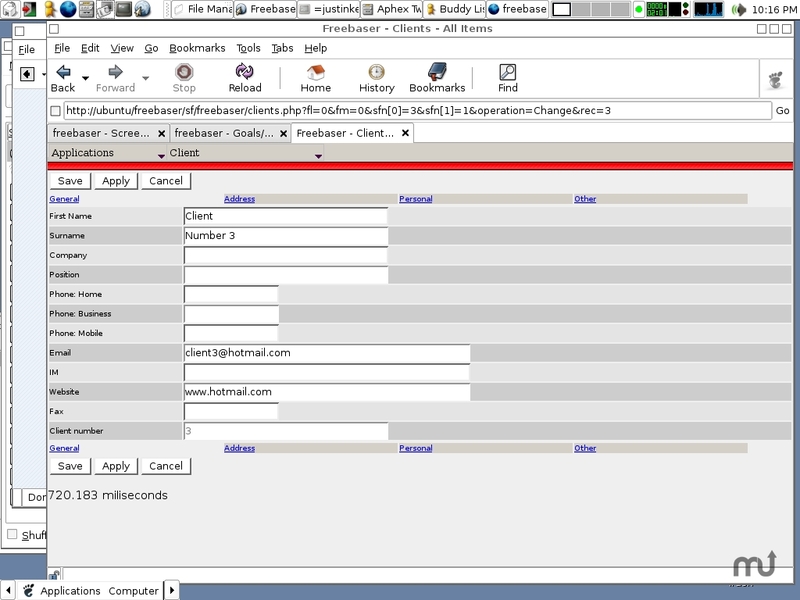 Create simple, usefull organizational database apps. Is there a better alternative to Freebaser? Is Freebaser really the best app in Applications category? Will Freebaser work good on macOS 10.13.4? The Freebaser project is collective of free (www.fsf.org) multi-platform database applications. The goal of Freebaser is to create simple, elegant and usefull database applications to solve organisations issues. Freebaser needs a review. Be the first to review this app and get the discussion started! All the the applications in Freebaser are extendable so if they dont cover your exact need, it no hassle to add the extra features or fields.